1. Blend ingredients for the strawberry yogurt sticks together until smooth. 2. 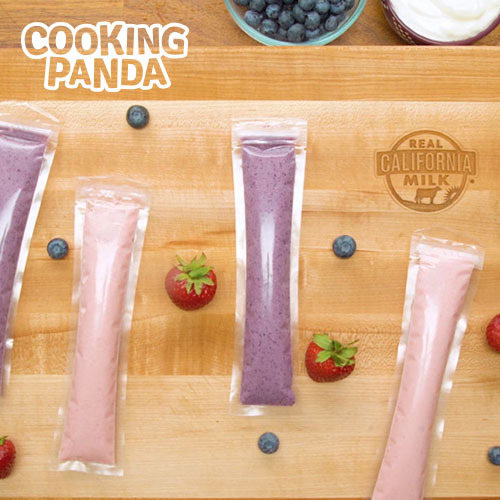 Blend ingredients for the blueberry yogurt sticks together until smooth. 4. Freeze until firm. Serve and enjoy!